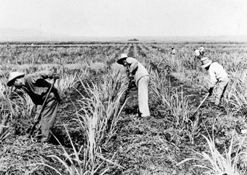 The history and experiences of Filipinos in Hawaii cannot be understood without examining the events and processes that affect Filipinos in the Philippines and throughout the world. The Filipino experience in Hawaii is only part of a larger story linking a common identity to a historic past and a creative future. 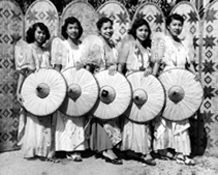 This section provides access to online versions of exhibits and displays produced by the Filipino-American Historical Society of Hawaii and by other organizations. Each author holds the copyright for the exhibit's content and references to the exhibit should be properly cited.